If you wish to communicate with the ZNIR, you must do so through the CIA president only. It is likely that the CIA president can already give you an answer. Denton Hewgill (ZNIR 7th Dan) is the current CIA president. You can find contact information for the CIA president on the Contact Us page. This is a direct order given to the CIA from Japan ZNIR Headquarters Fuku-Kaicho Kato Haruo, 10th Dan Hanshi. 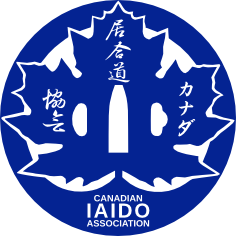 To arrange to practice Iaido in Japan, or to attend a Taikai in Japan, you must only go through official CIA channels, which is only the CIA president, Denton Hewgill. In order to practice in Japan, or attend a Taikai, you must be at least Godan or higher. If people ranked below Godan wish to go to Japan to practice Iaido, it is still possible but you will need special permission. It is unacceptable and very impolite to simply show up unannounced to practice at a dojo. The CIA has access to, and works with, a Kansayaku, Itoh Takeji sensei (ZNIR Renshi, Seitokai’s Honbu), as noted on the Contact Us page. Itoh sensei is a direct student of Kato Haruo 10th Dan Hanshi, ZNIR’s Fuku-Kaicho. He was appointed and recognized officially as Kansayaku by Kato Haruo sensei while he was in Japan. If needed, he has the authority to represent the Fuku-Kaicho, Kato Haruo sensei, 10th Dan Hanshi. 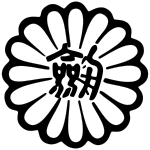 If there are any questions that need to be resolved, the CIA president can confer with the Kansayaku Itoh sensei, and the Kansayaku has the authority to give corrections, order, and to also make decisions on behalf of Denton Hewgill sensei or ZNIR Kato Haruo Fuku-Kaicho, if he thinks it is necessary. Any attempts to circumvent this official channel will be known and action will be taken by the ZNIR and/or the CIA. Following official communication channels is very important to maintaining the integrity of the CIA.